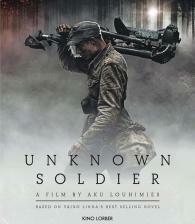 The most expensive movie ever produced in Finland, the monumental war drama Unknown Soldier broke box office records in its homeland upon release. Based on the classic novel by Väinö Linna, it tells the story of an infantry unit's three-year tour of duty during the Finnish Continuation War. The film follows the story of Rokka, Kariluoto, Koskela, Hietanen, and their brothers-in-arms. It shows how friendship, humor, and the will to live unite these men on their way to the battlefront and back. The war changes the lives of each of the soldiers as well as the lives of those on the home front, and also leaves its mark on the entire nation.